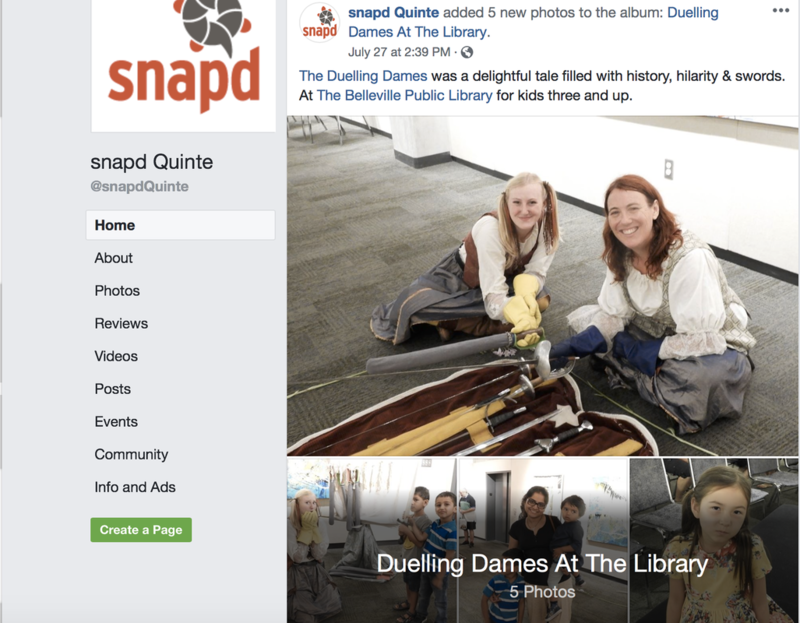 The Duelling Dames is an all female, multi-generational swordfighting play for all ages. 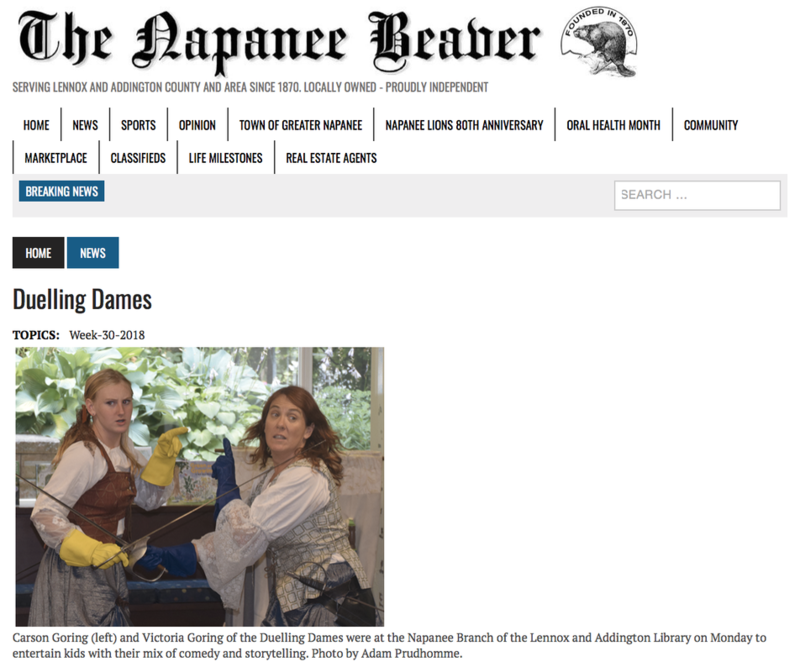 The Dames teach history with hilarity, astound with swordfighting skills, and are daring enough to bring audience members onstage. Female empowerment? Yes! Anti bullying? We’ve got it! Workshops that disseminate violence in the media? Only the Dames do that! 35 minute show, plus a meet & greet. The Quinquagenarian Queen and the Puerile Princess argue...about everything. The Queen believes rulers should be like a sword: Possessing strong hilts. The Princess believes a sharp tip, representing youth, is a better metaphor. Fighting over how to fight, these loveable characters bring knights onstage, whom they train for minutes and minutes...for a battle that is a hilarious as it is real, for there are no winners. "In this #me2 movement, why would you NOT hire female fight directors? A lot of actors I know, male and female, have had traumatic experiences with stage combat before. Thanks for teaching me there is another way". Stage Combat workshops connect with students whom are typically difficult to reach. The essential introduction to swordplay for actors. Learn techniques from a master Fight Director. Improve physical clarity onstage, and connect stage combat to acting intent and emotion. Stage Combat is a codified art form that once learnt, makes it easy to choreograph and work with fight directors around the world. Teens/Adults we can accommodate real swords for up to 10 participants at a time. For foam swords, we can accommodate 20 participants at a time. Learn to kick, punch, and slap without getting hurt. The Dame reveals the secrets to the illusion of stage combat, instructs choreography notation, and provides the confidence to create original fights. Stage combat teaches discipline, co-operation, conflict/resolution, theatrical concepts, and how to disseminate violence in the media.